Recently, the Second Appellate District of the California Court of Appeals ruled that people convicted of assault and battery under California Penal Code section 242 are not prohibited from possessing firearms under the federal law that prohibits those with a conviction for a “misdemeanor crime of domestic violence” (MCDV) from possessing a firearm. The ruling came from the case of Shirey v. Los Angeles County Civil Service Commission, (B238355, May 6, 2013). The decision clarifies that hundreds of Californians previously thought to be prohibited from possessing a firearm may indeed possess a firearm. Shirey was charged in 1992 with domestic violence and battery under California Penal Code sections 273.5 and 242. At trial, Shirey was found not guilty of the domestic violence charge under section 273.5, but he was convicted of the lesser charge of battery under section 242. Shirey was sentenced to probation, then had his case expunged under Penal Code section 1203.4. As a result of the expungement, Shirey had his firearm possession rights restored under California law via California Penal Code section 12021(c)(3). After having his firearm possession rights restored under California state law, Shirey worked for the Los Angeles County Sheriff’s Department. But in 2009, the Sheriff’s Department determined that he was prohibited from possessing firearms under the federal MCDV law, commonly know as the “Lautenberg Amendment.” Deputy Shirey contested that determination. Under California Penal Code section 242, a “battery” is defined as “any willful or unlawful use of force or violence” on another person. The issue in the Shirey case was whether the required use of force or violence element for a PC 242 conviction was the same as the use or attempted use of physical force element for an MCDV conviction. The court of appeals held that it was not. Under the California state court’s interpretation, the phrase “use of force or violence” for battery can include harmful or offensive touching and even the “least touching” can constitute a battery. In contrast, federal courts have held that the physical force element of an MCDV offense requires some kind of violence or violent force, not just touching. So to prove the physical force element of an MCDV offense, something more than mere touching is required. Since California’s battery statute PC 242 does not require proof of more than mere touching, it does not prove the physical force element of an MCDV offense. Because the Shirey decision held that the PC 242 simple battery conviction did not meet the definition of an MCDV conviction, the court did not address the significant related question of whether the two California state law rights restoration statutes in combination would have restored Shirey’s firearm rights under the federal restriction. This case should effectively restore the rights of those convicted of a misdemeanor PC 242 (and PC 243(e)) if the convicted person has been considered by the state of California to be prohibited from possessing firearms under federal law only. But both PC 242 and PC 243 convictions carry 10-year firearm possession restrictions under California state law. The State of California will probably appeal the Shirey decision to the California Supreme Court and therefore, the California Department of Justice may not consider this case binding until it is considered final. A case can be final after the time for it to be appealed has lapsed, all avenues of appeal have been denied, or after a court with the authority to review the decision has heard the case and issued an opinion and there is no where else to appeal the decision. People who are uncertain of their eligibility to possess and own firearms in California should request a personal firearms eligibility check using the form provided by the California Department of Justice website. California is being particularly aggressive in seizing firearms from people prohibited from possessing them. Many people are unaware of their prohibited status. At Wallin & Klarich, we understand that you value your right to legally possess a firearm. 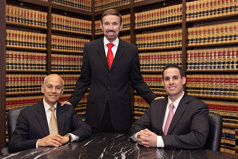 Our attorneys have been helping clients fight for their right to own and possess a firearm for over 30 years. We have the skill and knowledge to help you protect your rights. Our offices are located in Orange County, Los Angeles, San Diego, Riverside, San Bernardino, Ventura, West Covina, Victorville, Torrance and Sherman Oaks. Give us a call today at (888) 280-6839. We will get through this together. Celebrating the 4th of July in Newport Beach? Watch Out for These 5 Crimes. (PC 240, PC 459, PC 488, PC 647(f), VC 23152(a), VC 23152(b)).